What do you mean 'too much snow'? Toss that ball over this way!! Puppies Have Arrived at Malagold!! Welcoming the Next Generation at Malagold! The Malagold Heritage in Pictures! Click on above image for larger view! That Time of Year Again - GRCA Nationals! 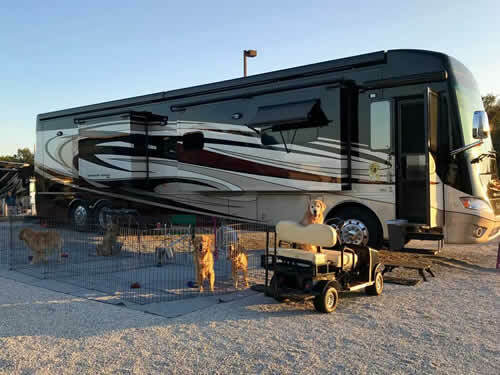 Team Malagold had a road trip to Gray Summit, Missouri, to attend the Golden Retriever Club of America National Specialty the week of October 1st. It was a fun and fabulous week of seeing old friends, meeting new friends, providing mentoring opportunities, grooming dogs and just having a great time in and out of the show ting! Already looking forward to next year with a new crew of puppies and Champions! To see some of what the Malagold Kids did during the week, follow the Recent Events page! The New Kids On The Malagold Block! Introducing Pebbles (Malagold's Summer Pebbles) and Legend (Malagold's Stone Legend) - the new kids at Malagold! They have just started to make their mark in the show ring, so follow along on their exciting new adventures! Should be a fun year! Check out how they are doing by following them on the Recent Events page! A Spectacular Day at the Golden Retriever Specialty!! 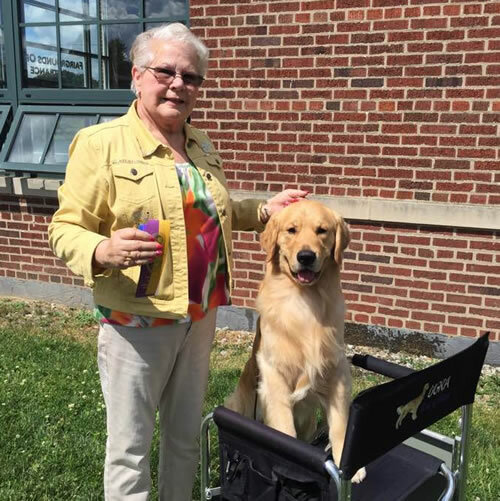 The Malagold Team travelled to Wisconsin to attend the Northern Flyway Golden Retriever Club Specialty Show on Saturday, April 28, 2018. 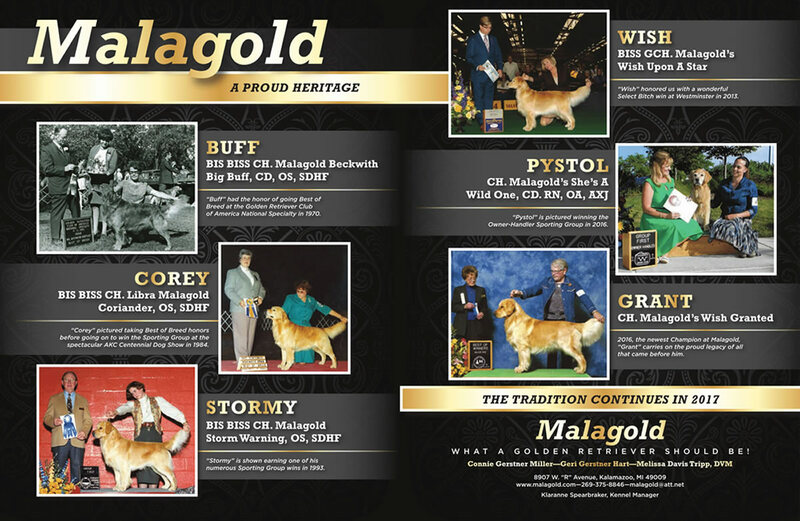 Malagold was represented by quite a few nice puppies, with wins in both the Sweepstakes and the Regular classes. The big winner of the day was Imo (CH. Toasty's Massimo) as he wins the Best of Breed rosette! What an exciting day for the Malagold Team! Take a look at the Recent Events page for all the details of this special day! Malagold is "Honored" to announce our New Champion!! Announcing new CH. Malagold's Code Of Honor, Cody, who finished his Championship title on November 5th, 2017, under respected Judge Mr. Michael Faulkner. 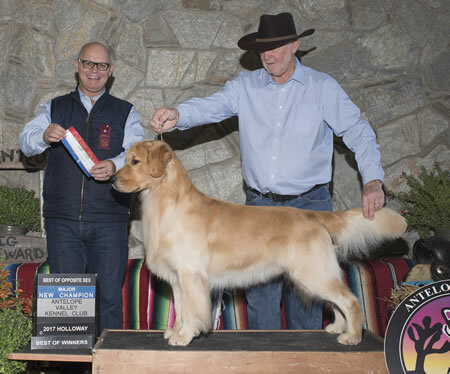 Cody has been spending his time on the west coast with his handlers, Bruce and Tara Schultz, and finished his title with a nice major win. 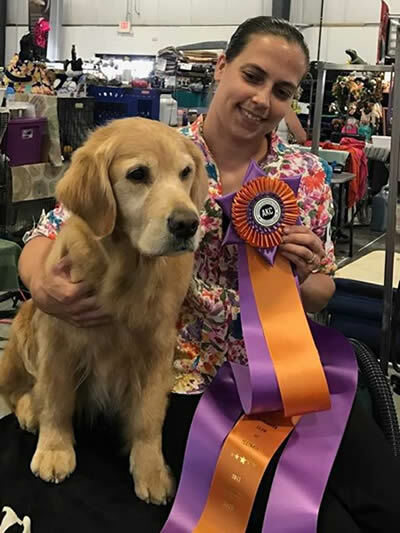 Cody has continued to compete well after moving up to the Best of Breed competition, already earning major wins towards his Grand Championship title! We are so excited for our little man! Drum Roll Please....A New Champion at Malagold!! Connie and Drummer went a few hours south to Indiana for an early morning show time. It was sure worth the 4:00 AM wake up time to travel to the Lake Shore Kennel Club show as Drummer (Malagold's Distant Drummer) won the Bred By Exhibitor Dog Class and then went Winners Dog for the point to finish his AKC Championship title! To top it all, Connie and Drummer continued the winning streak with a Best of Breed win on the day! A Specialty Win for Pystol and Melissa!! Pystol (BISS GCH. 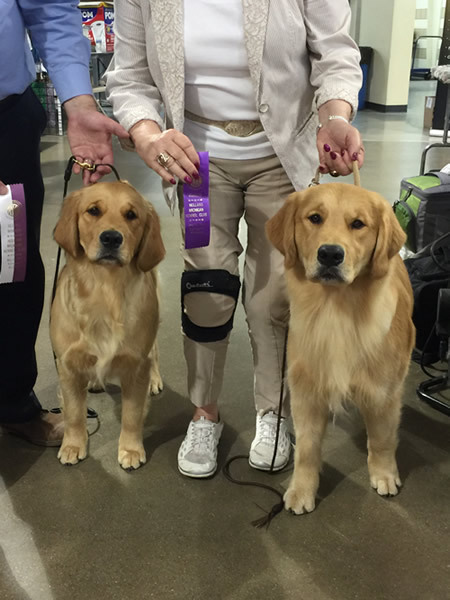 Malagold's She's A Wild One CD, RN, AX, AXJ) retired from the Conformation ring with a huge Best in Specialty Show win at the Golden Retriever Club of Illinois Specialty Show in Grayslake, Illinois, on June 17, 2017!! What a remarkable retirement for Pystol and Melissa! This wonderful team will now concentrate on other activities, such as field work and further agility titles. She can do it all! Congratulations to this amazing team! Pystol truly is what a Golden Retriever should be! 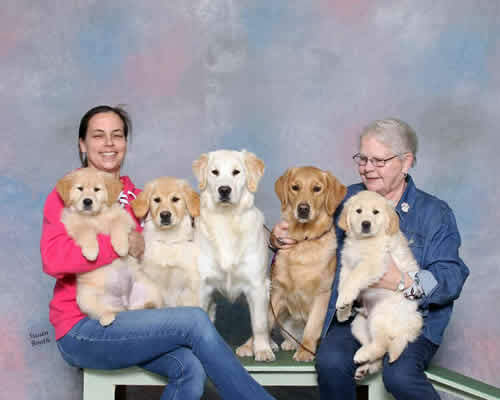 Meet Some of the New Puppy Families At Malagold! a Malagold puppy into their hearts and homes!! Rally 'Round The Malagold Title Holders!! "Tucker" - Earns his first UKC Hunting Title! Deb Puza's Tucker (CH Malagold Tucker's Follow'N The Flag CD RE AX AXJ MXP2 MJP NF OFP) has just received his first UKC field title - the SHR - Started Hunting Retriever!! Tucker completed all the qualifications for this new title on August 6th, 2016, and is currently working towards his AKC Junior Hunter (JH) title. With 2 legs already completed, Tucker is well on his way to his second field title!! Watch for more news on this very active and versatile boy!! Check out the accomplishments and photos of the newest title holders on the recent events page! Click here for all the most recent news! At Malagold, we are certainly proud of all the titles and honors that have been earned by the many exhibited and working Malagold Golden Retrievers. Make sure to keep up with all the activities on our recent events page! Share in the photo fun and the family stories! 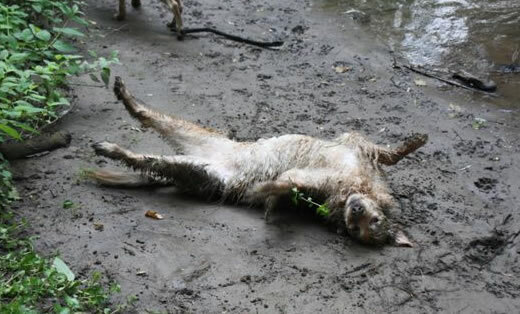 This is Kleara relaxing at the "Mud Pack Puppy Day Spa" in upstate New York. Isn't she pretty? She works very hard to keep herself looking this good! 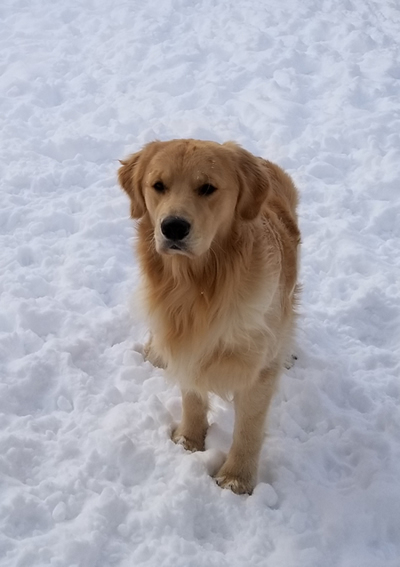 We love to hear from those who have made a Malagold puppy part of their family! And....we are happy to share their stories! Come along on the journeys - past and present - of these dogs and the families that they loved so much. Click here to share in the tales of their love of their canine companions. Copyright © 2002-2016 All Rights Reserved. Photos, graphics and content are property of Malagold Kennels, LLC. and may not be copied or used without written permission. or imply ownership or affiliation with Malagold Kennels LLC or its member.